Possibly the best set ever!!! The back story..
Interview with set designer and photographer Mark James about the building of the set for The Lace Market Theatre's production of the controversial play Jerusalem by Jez Butterworth. You were asked to acquire a real caravan for the set. How did that come about? The director, Roger Newman and I wanted a real caravan on stage and you can't make up anything really that looks just like a caravan, They are such unique objects, I could spend months making something that perhaps looked like a caravan but wouldn't really. It would be rubbish. We went through local breakers yards and alerted them to the fact that we wanted a caravan but we didn't get anything from them at all. Did it have to be in a particular style? The older the better and I didn't want anything too stylish. I wanted something a bit crap looking. It had to be small as well, about ten foot â€“ not much bigger than that really because of the size of the stage at the Lace Market Theatre. I saw plenty of them which were seventeen feet but they wouldn't fit. It was pointless even thinking about them. Time was ticking on so I started looking on Ebay and the preloved site. This was two or three weeks before the get in, about the end of June. I really wanted it ready, cut up and ready to re-assemble on stage as soon as possible so the actors could get used to it. Leading up to this period I was getting a bit frantic with me thinking I wasn't going to get my caravan. 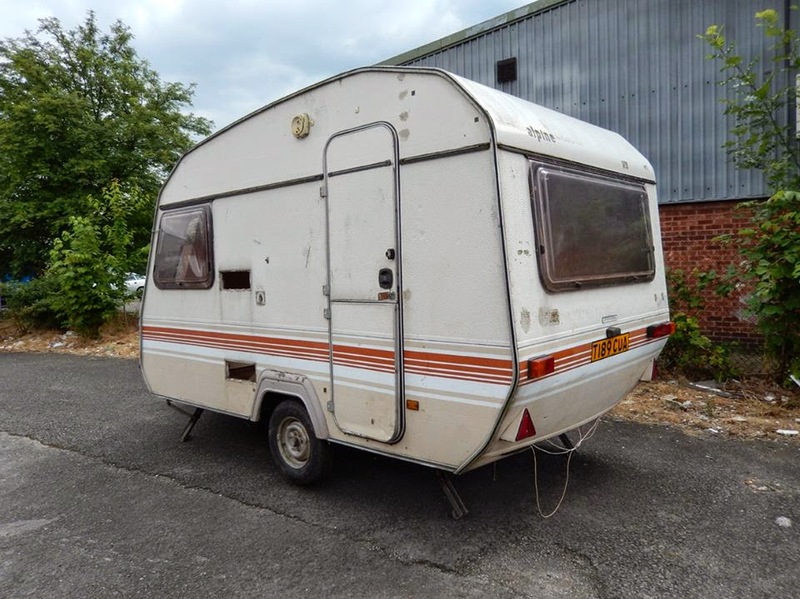 I must have looked at dozens of caravans mainly on Ebay and contacted some of the sellers mainly about the size. I wasn't having a lot of luck so far. Nothing seemed right. Continued on Phil's blog... read the original article online here.